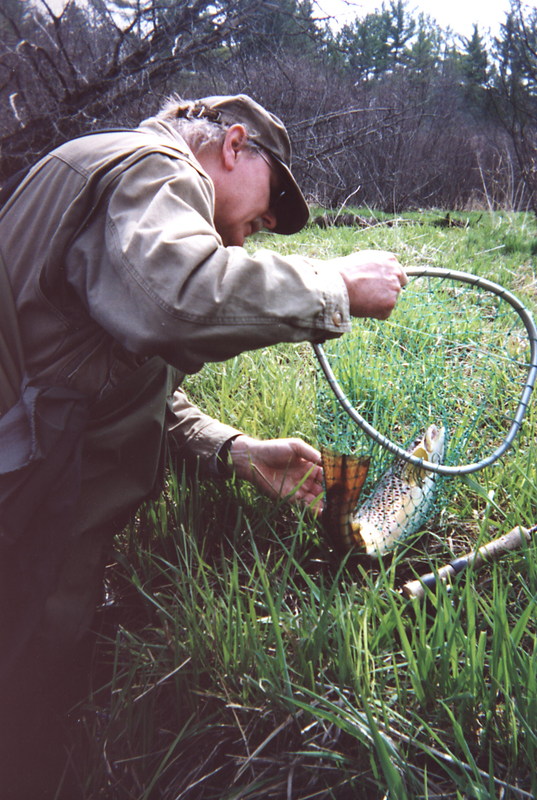 One of the interesting things about trout fishing is meeting whatever challenge comes up. 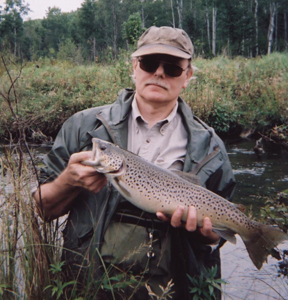 In order to catch trophy trout you have to put yourself into a position where you have a genuine shot at getting a big fish to take your lure. It may be necessary to wade though deep holes, balance on invisible and unstable logs, lean into a hard current, and try to lob an awkward cast into thick cover while swatting that mosquito that is buzzing you ear. Successful trout fishing is all about making the perfect cast and to do that you need to be in the right spot whether in the middle of the stream or near the bank. 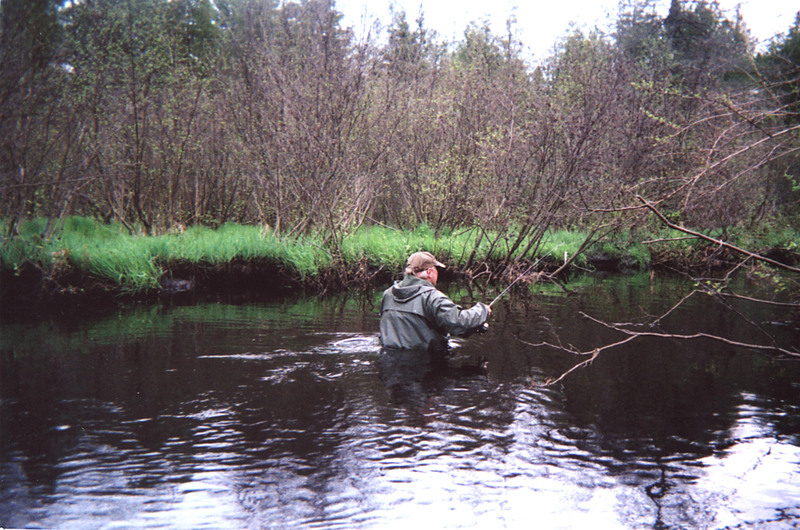 And you have to be on the move – continually working cover with a few select casts and then pushing further upstream to the next piece of cover. Generally you stay on the inside of bends so you cross the stream constantly. Imagine a shoot-em-up video game where you are constantly moving forward and blasting enemy that come into view. Sort of like that but you need to be as accurate with your casting as you are with your imaginary rifle. But this post is about wading deep. If I take the route up through the stream that others don’t – I know may be rewarded. I am often on my tip toes in water so muddy or stained that my feet are my eyes. It’s ballroom dancing on a minefield. You learn to walk sideways in a fast current to reduce drag and gauge the steepness of the decline into pools and whether you can muster your way around some trash or blowdown to stay in the stream. Climbing up on the bank to go around blowdowns or deep pools is a last option – you want to stay in the water because that is where to make the next perfect cast. The one that takes a big trout.